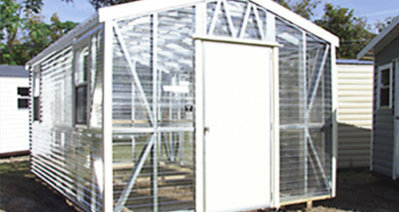 Buildings And More offers products and services beyond our amazing selection of new storage buildings, steel buildings and carports, gazebos, greenhouses and screen rooms. We’re here to help with all your steel and portable building needs. 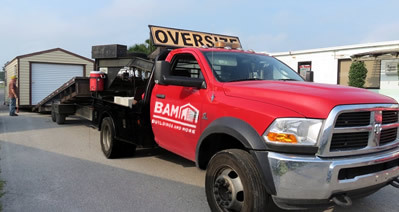 In addition to our outstanding selection of new portable buildings, we rotate an ever-changing on-site inventory of pre-owned storage buildings, gazebos, greenhouses, screen rooms and small-to-midsize steel buildings. 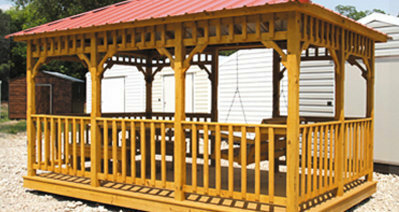 We specially select these used buildings to provide exceptional value. While there may be a ding or two here and there, you can always expect high-quality, reliable buildings at Buildings And More. 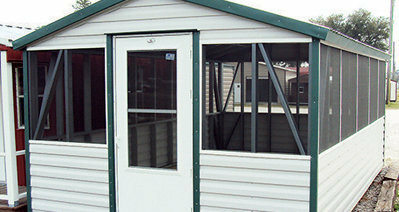 Sometimes people outgrow their existing steel or portable buildings or simply no longer need them on their property. When that happens, Buildings And More may be available to purchase it. If you are looking to sell your steel or portable building, and it’s in good to excellent condition, give us a call. We’ll evaluate the building and, if it’s the right fit, we’ll negotiate a fair price. We’ll even pick it up from your location. 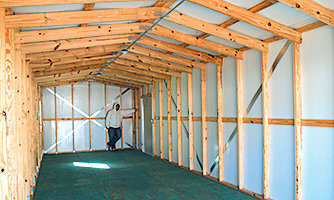 When you move into a new home or relocate your business, odds are you’ll want your portable building to come with you. That’s the great thing about “portables.” Still, moving a couple tons of building from one location to the next requires some heavy-duty machinery – a team of experienced people helps too. Buildings And More can move your portable building from one location to another, across town or across the state. Call us with the details of your move and we’ll see if we can help, whether you originally purchased the building from us or not. 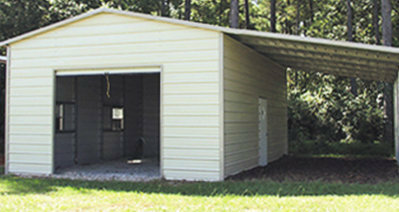 Looking for a lower-cost storage building solution? The Bennett Bullet might be right for you. The Bullet is made of quality steel tubing and siding set on a pressure treated shed base and comes with a five-foot roll-up door. 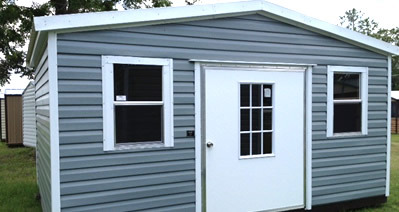 It’s one of the most durable and cost-effective storage buildings you can find, starting at just $2575. Select from a variety of trim colors to match your home or business. Sometimes your car or truck just doesn’t have the space to carry what you need, and we can help. Buildings And More offers a variety of steel trailers for hauling boats, motorcycles, ATVs or extra cargo…starting at $599. Whether you need extra room to pack for a move, or you’re taking your boat down to the lake, we’ve got steel trailers to meet any need. All Buildings And More trailers have new axles and new radial tires. Brakes, enclosed wiring, spare tires and mounts and steel wrapped tail lights are also available.